KALININGRAD, the Russian Federation, (BulgarianMilitary.com) – Yesterday (28th January), the press office of Russia’s Baltic Fleet reported that pilots assigned to the fighter aircraft regiment of the Fleet, which is stationed in Russia’s most western Kaliningrad Region, had practiced tasks of intercepting air targets as well as of delivering strikes against a notional enemy’s facilities, learned BulgarianMilitary.com. The press release of the Baltic Fleet’s press office reads that the crews of Su-27 fighter aircraft carried out elements of aerobatic maneuvers and missions in which they had trained “to intercept high-speed targets in the sky over the Kaliningrad Region.” Measures for a forceful landing of a notional enemy’s aircraft on an aerodrome were also practiced, the yesterday’s statement says further. 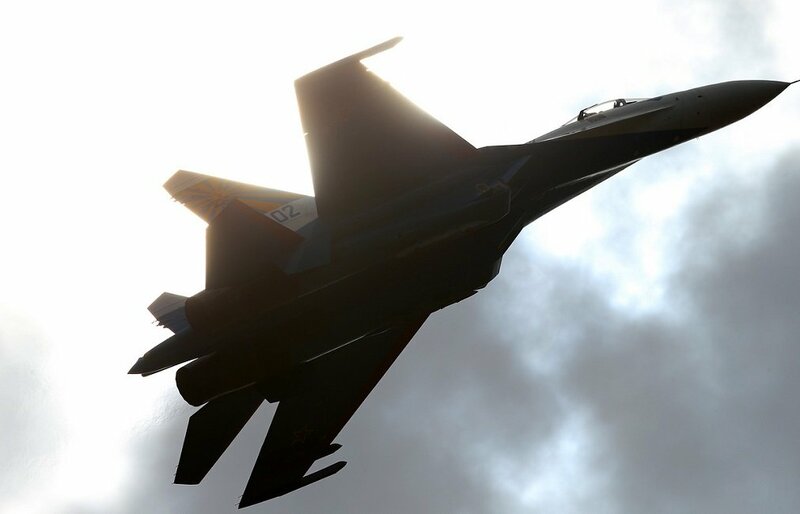 At the same time, the flight crews of the multirole fighter aircraft Su-30SM, part of the Baltic Fleet’s naval aviation, were practicing delivering simulated air strikes against naval and ground targets, held at the sea and land ranges of the Fleet. The Fleet’s press office adds that these trainings also involved practicing of attacks against targets that simulated a warship of a notional enemy. In total, more than ten aircraft part of the Baltic Fleet’s naval aviation were included in the training. The abovementioned drills go after the incident reported by the Ministry of Defence of the Russian Federation yesterday, in which a Russian Su-27 fighter aircraft intercepted a U.S. reconnaissance plane P-8A Poseidon over the Baltic Sea. The statement says that a target approaching the Russian state border over the neutral waters of the Baltic Sea was detected by the airspace control equipment. Then, a Su-27 fighter of the Russia’s Air Defence Force was scrambled to intercept the target in the air, which approaching to it identified the target as a P-8A Poseidon reconnaissance plane of the U.S. Air Force. Afterwards, the Russian fighter returned to its home airbase.